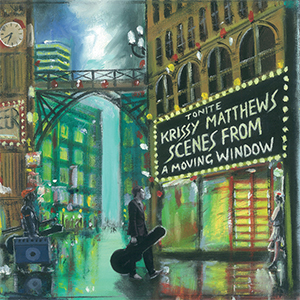 Krissy Matthews Band are set to embark on a UK and European tour in March and April to celebrate the release of their first live album Live At Freak Valley. Released by Proper Records on Friday 14th April 2017, the live album was recorded at the Freak Valley Festival in Siegen, Germany on May 27, 2016. It really catches the adrenalin and pure excitement of the band in all their glory. "Too many bands release "live records" but half of it is over dubbed in the studio and the f*** ups are erased," says Matthews. "On Freak Valley you get the real deal. No overdubs." Continues Matthews, "I remember our Freak Valley show very well. It was the first show myself, Sam and Max did as a three piece. It was the first I performed at a major "stoner rock" festival, and it was the first gig of our 2016 summer festival tour. We walked off stage smiling and had a fabulous time. Over the past twelve years of touring since I was 12, more and more fans have been asking me when I was going to release a live album. I knew it had to be around the corner. When I heard the recording of this show, I knew it was the one." 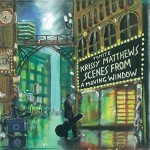 The three bonus tracks on the album – Hit The Rock, Roadsick Blues and Bubbles And The Seven Phones, were recorded live from a concert Matthews performed at one of his favourite venues – Gerd’s Juke Joint in Joldelund, Germany during Spring 2016. Originally from Oxford, Krissy’s band has often been described as an exciting, high octane, power rock trio steeped in blues roots. 24 year old Matthews has performed at some of Europe’s most iconic music venues including Ronnie Scott’s, Loreley, Tanzbrunnen and Festa Avante. He’s also opened for many high profile recording artists at the top of their game including Joe Bonamassa, Toto, Gregg Allman and Tedeschi Trucks Band.